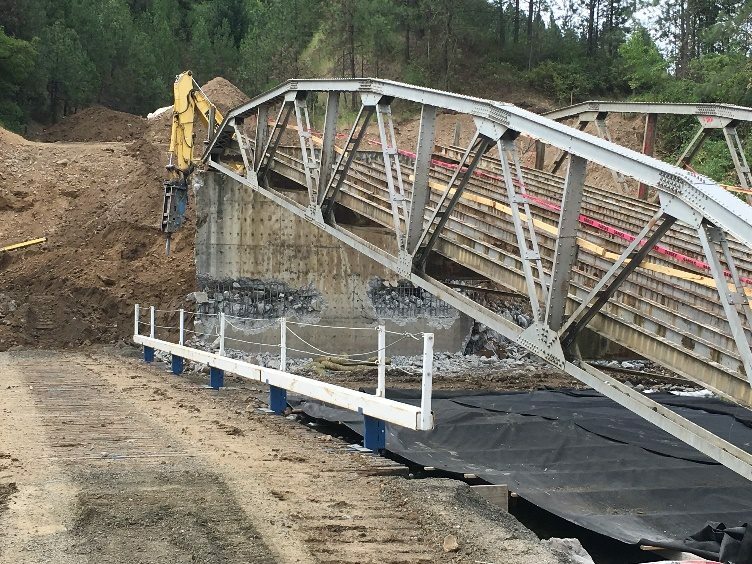 HMH Engineering is currently working with the Local Highway Technical Assistance Council and CL Heilman Company on the reconstruction of McGary Bridge over Potlatch River in Nez Perce County. This project will replace the existing steel truss bridge with a new single span concrete bridge on the existing alignment. Work on the project includes pre-drilling for and installation of battered piling, 160’ pre-stressed concrete bulb tee girders and new guardrail and paving. Construction of the new bridge is anticipated to be completed by spring of 2017.